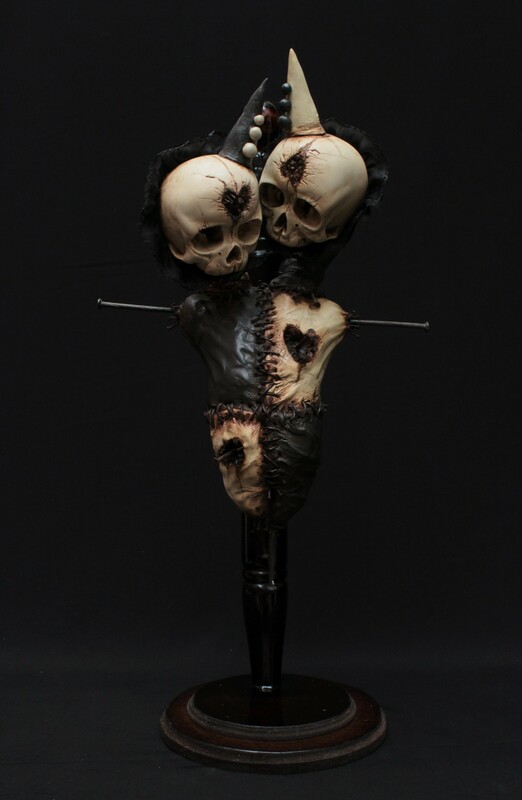 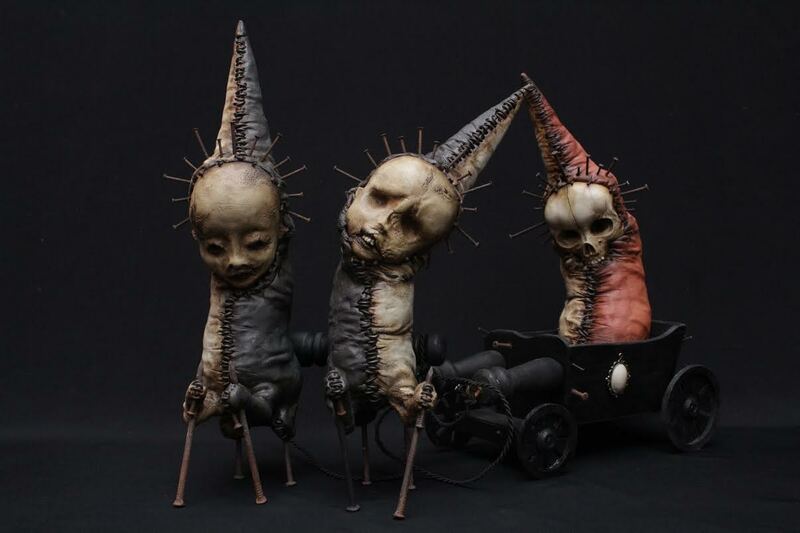 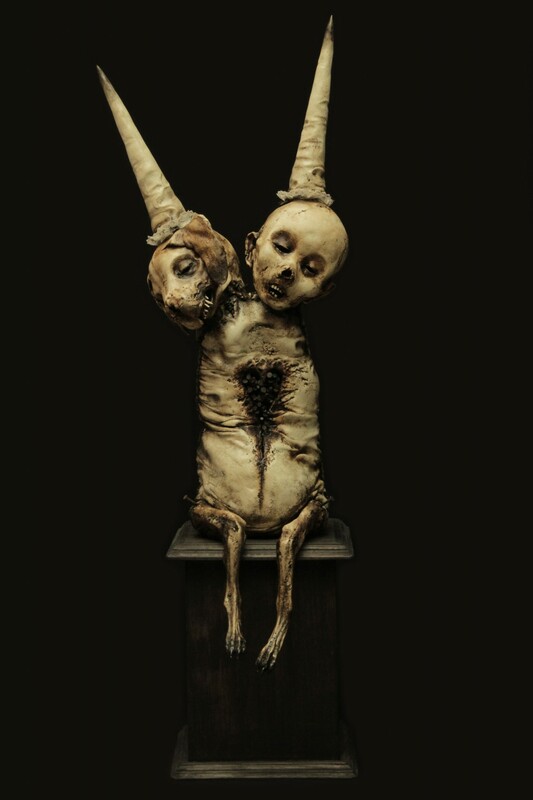 Emil Melmoth’s wax, anatomical models revel in a dark and surreal environment, and where his depraved sculptures live in affliction: fragile beings in an eternally harrowing state of mind. 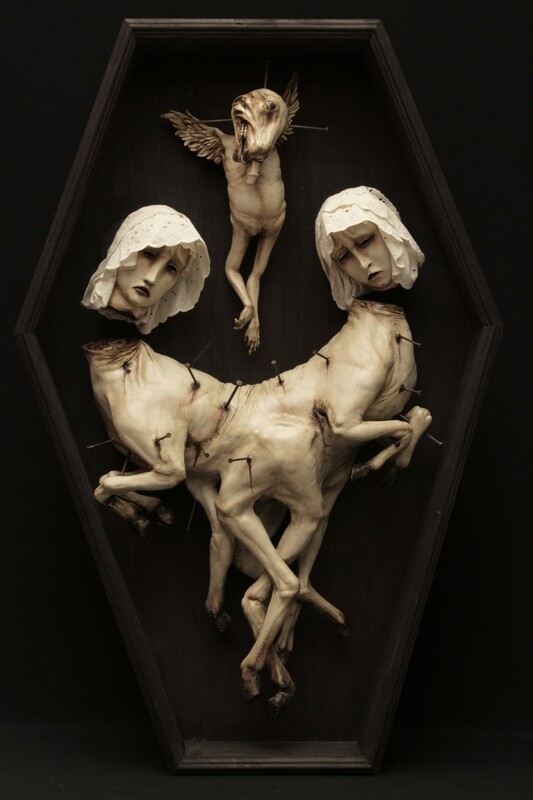 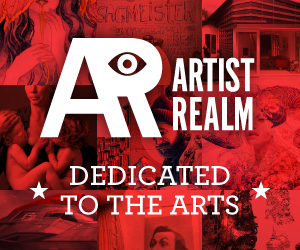 Melmoth projects the sublime and ethereal concepts of death onto his creations, portraying pessimism, nihilism, existentialism, the question of transcendence beyond death, mental instability, and self-destruction, all ideas represented in his invigorating constructs. 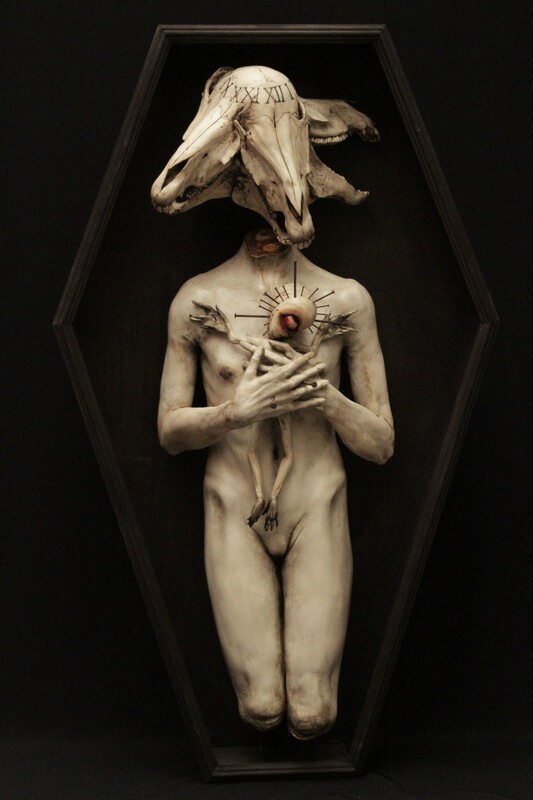 The aesthetic resources used by the artist goes mainly from the hand of old symbology, commonly religious and sometimes alchemical and astrological, gathering bones, roman numbers, livestock animals, limbs and imperfect bodies generally surgically severed, being those just some of the most recurrent and striking, as well as the aforementioned metal nail, this one especially serves as a common thread between the artworks, for Melmoth, the nail serves as the plumber, the proper needle of a lacerating and modifying twisted acupuncture, this sharp object contains and holds, changes and marks, all represented as the work of the many actions other people have on us, resulting in a reflection of our surroundings, reinforcing the idea of an individual existentialism. 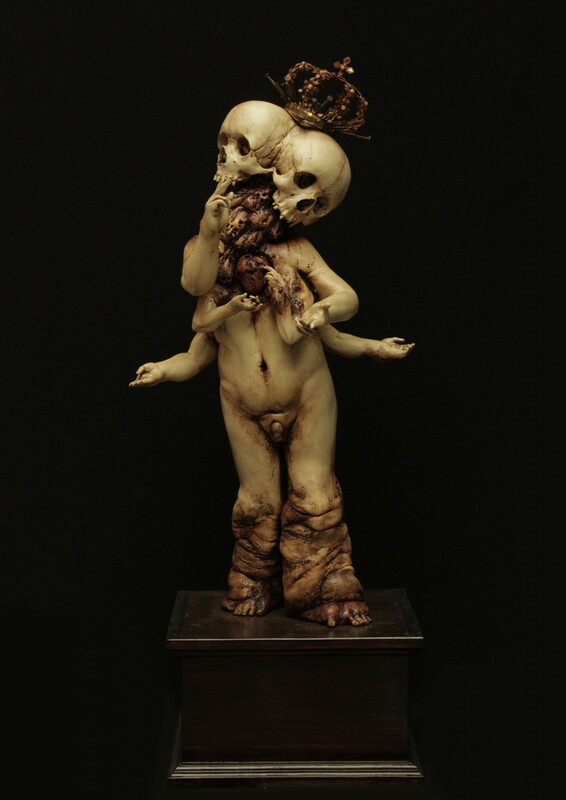 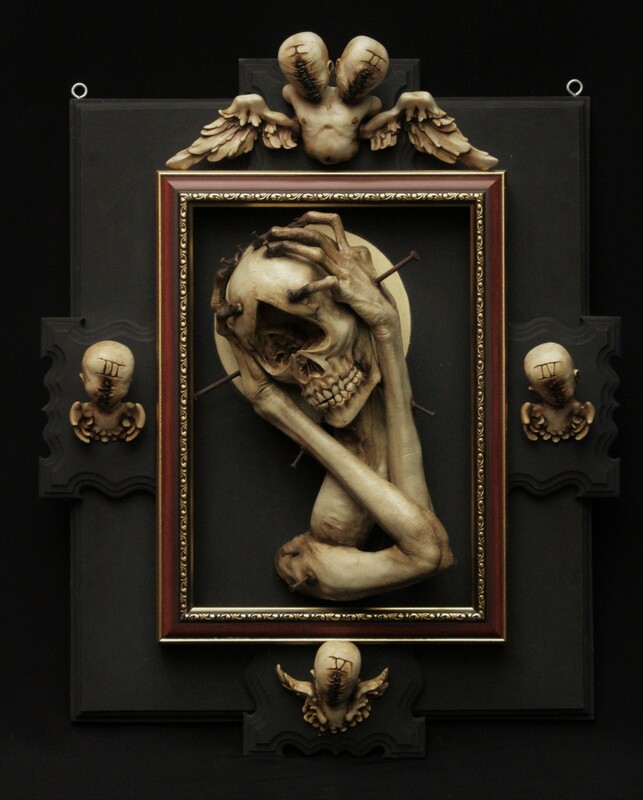 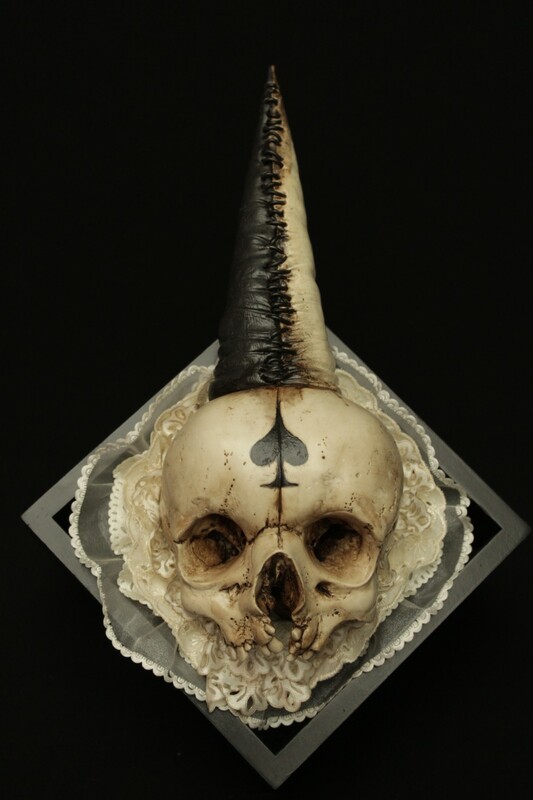 There are many humans who live by the rejection of hope and the destructive nature of the self, and Emil Melmoth’s works remind us of that through the creation of wax, anatomical models. 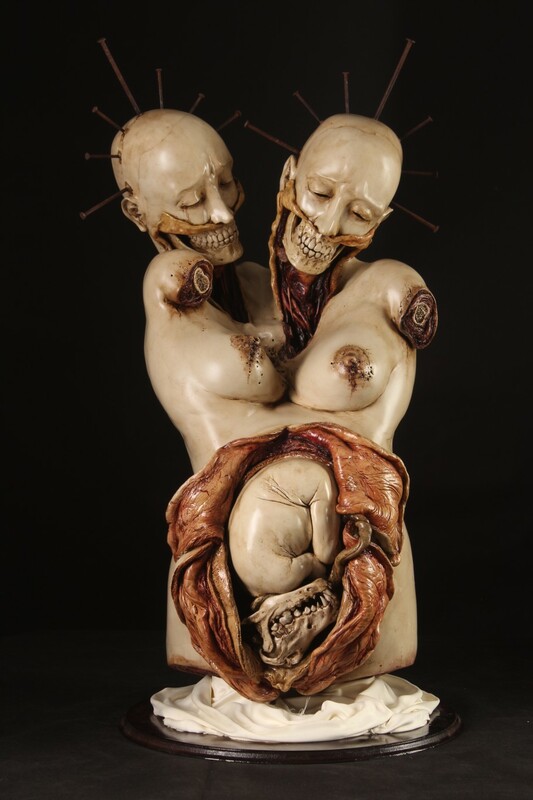 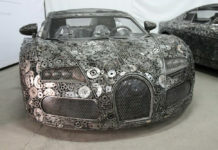 His oddly beautiful sculptures scream out in their broken and disfigured positions.